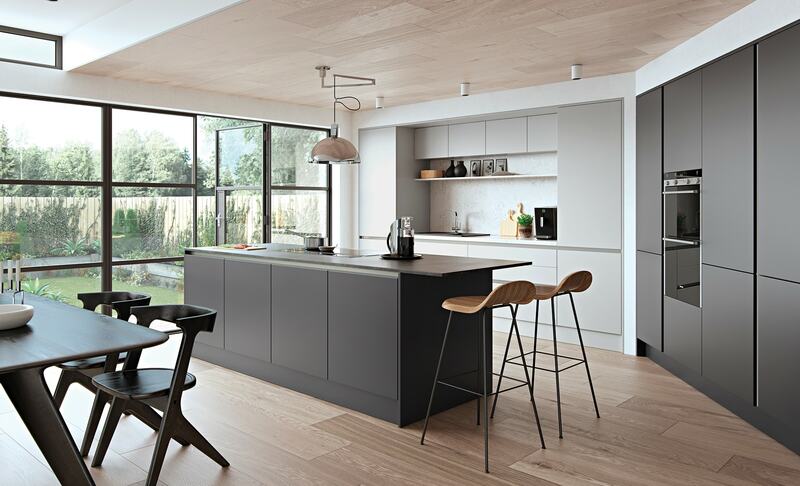 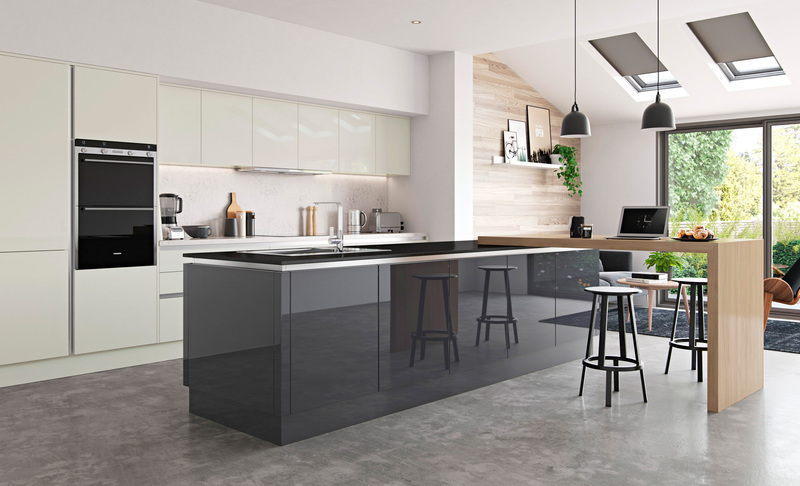 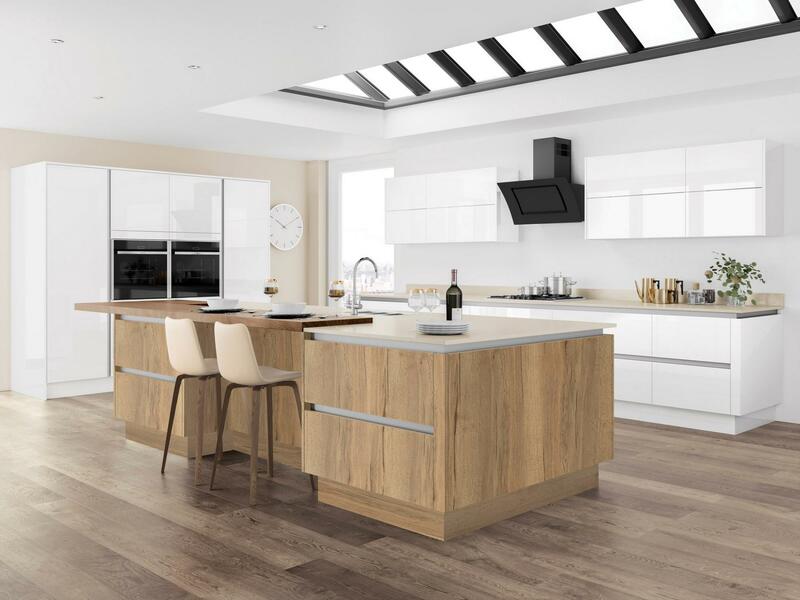 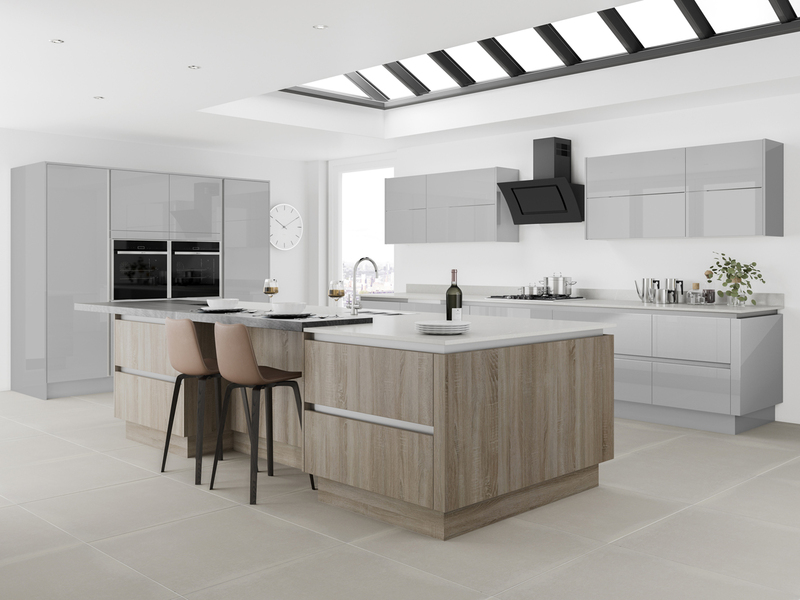 Handleless kitchens create a sleek and streamlined design, which not only looks effortlessly stylish, but is durable, easy to clean and extremely practical. 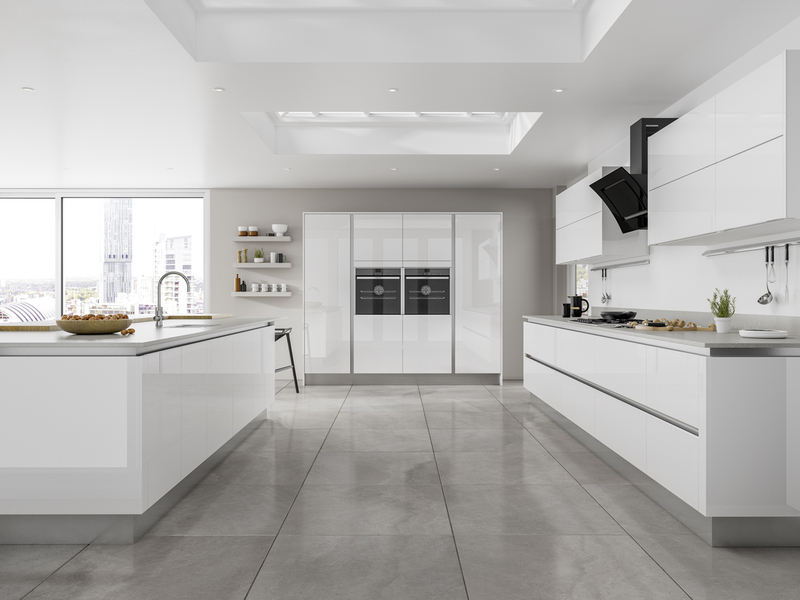 To create the true handleless look a continuous metal rail is fitted into the cabinets. 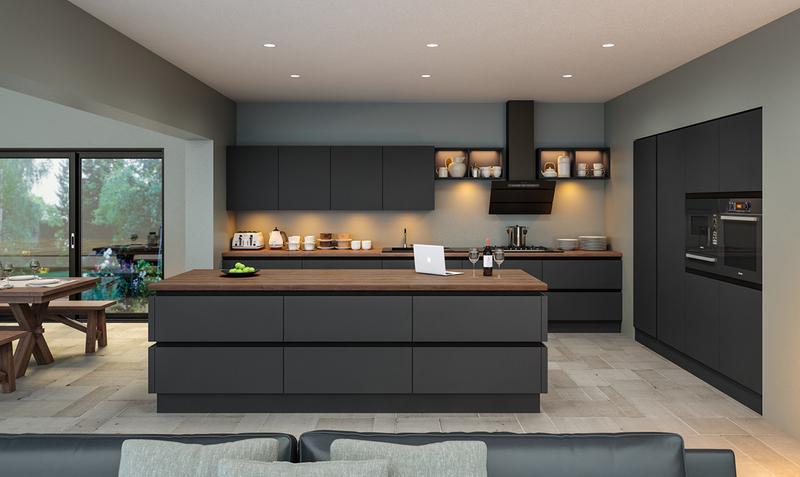 This is horizontal on base units, then vertical between tall units and the doors overlap it to allow a finger pull to open them effortlessly. 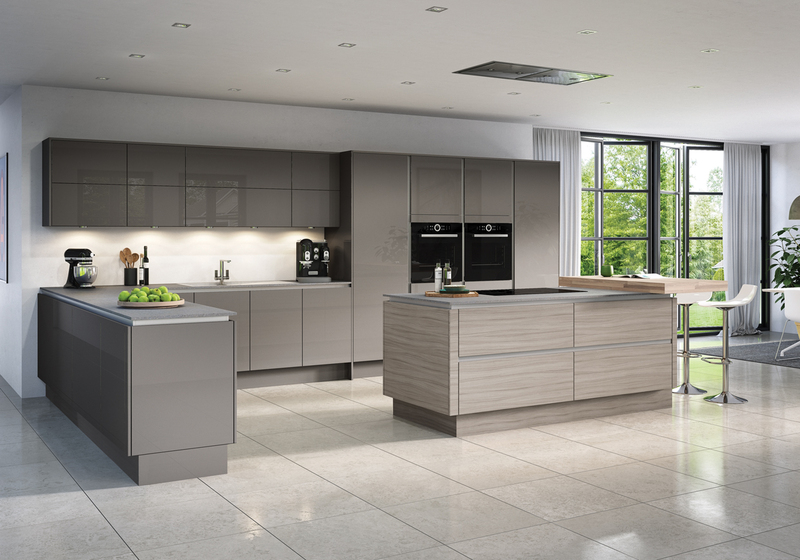 When fronts are not broken up by visible handles, kitchens have a particularly elegant and modern look. 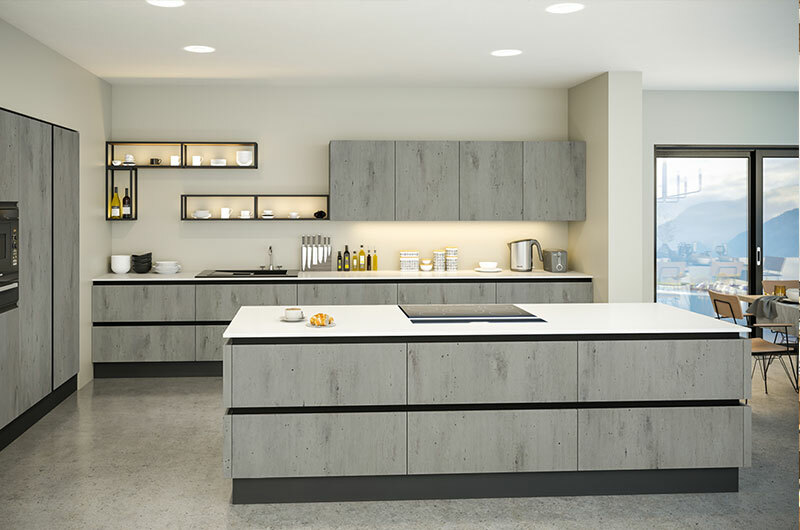 All in all Affordable Kitchens offer a versatile and full handle-less range that offers individual planning and design possibilities whatever the requirements and budget.